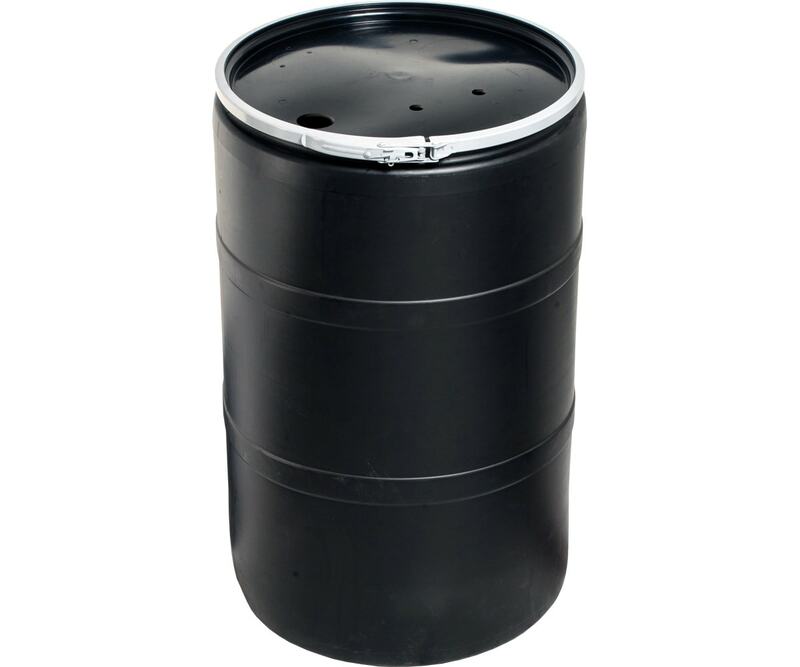 This high quality 55-gallon drum is black in color and comes with a pre-drilled solid cover and bolt ring closure. It is perfect for use as a reservoir for larger hydroponic systems. The pre-drilled holes can be used for the grommets and barbed fittings necessary to outfit the drum with tubing for filling and draining. A larger hole can also be cut in the cover to act as a port for adding nutrients, checking pH, etc.